How to break a fast teaches the critical transition from a fasted state to eating full meals. Fasting benefits are far beyond weight loss. 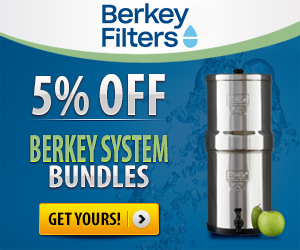 Fasting benefits involve acting as a reset to your gut and to your nervous system. One of the things that is just as critical as the fast itself is breaking your fast. When breaking a fast you should tread lightly during that transition. Learn how to break a fast below. If you haven’t noticed, I talk about fasting a lot! There is a good reason for that. Fasting has huge health benefits and is a powerful tool to act as a reset button to the nervous system and the gut. But just as important as correctly fasting is breaking, or coming out of, your fast. As your gut lining is healing during a fast, it will be a little more sensitive to food and digestion, so we need to be a little more careful. 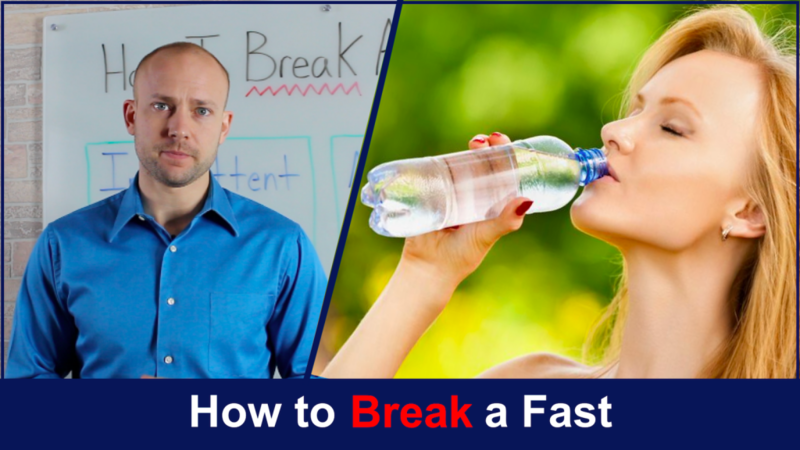 In the video How to Break a Fast, I’m going to teach you how to properly break a fast, no matter if it’s intermittent or a multi-day. I am a big believer in intermittent fasting. It can be a fantastic way to help you get into the best shape of your life. As intermittent fasting isn’t quite the shock to your system that a multi-day fast can be, breaking it can be a little bit easier than a more comprehensive one. For your first meal post-fast, I recommend having a nice light salad rather than consuming tons of carbs. Really, just take it easy and don’t eat anything too heavy. Using vegetables is the ideal way to break a fast. Although properly breaking an intermittent fast is important, it pales in comparison to the importance of properly breaking a multiple day fast. After a few days without food, your gut will be in a state of healing. 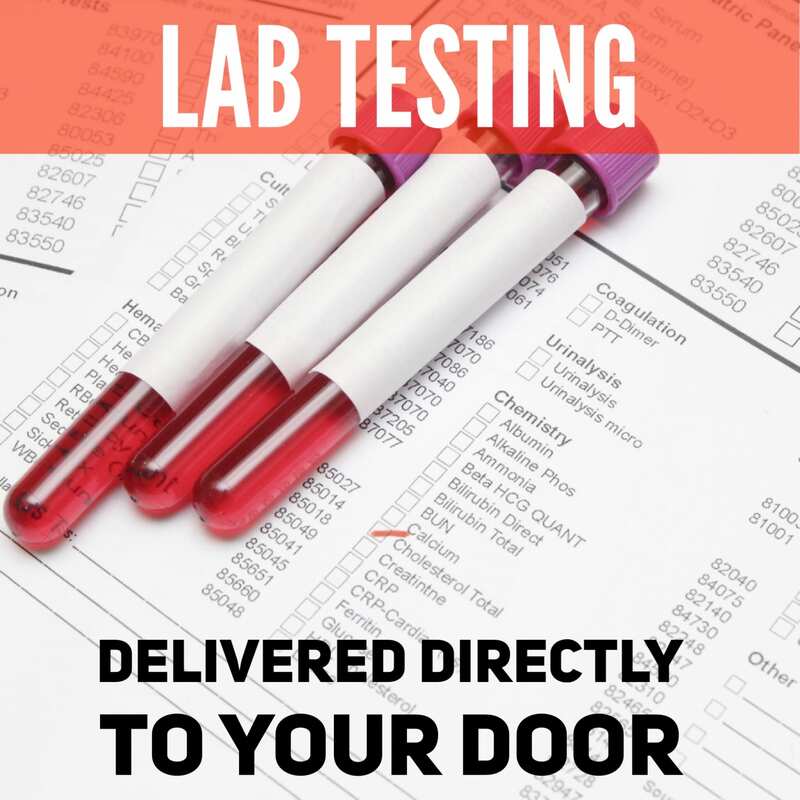 This means that you will have decreased enzyme production in your stomach, and therefore need to be very careful when transitioning to consuming food again. Depending on the type of fast you have done, there are different ideals ways to break a fast. My favorite way to break a multiple day fast is eating a bone broth based soup. Bone broth has lots of gelatin and other nutrients, and is super easy for your digestive system to break down. If you wish, you can also put easy-to-digest vegetables into the broth as a great entryway to solid food. Steamed vegetables are also great when used to break a fast. When breaking a fast, you just want to be gentle and not overdo it. 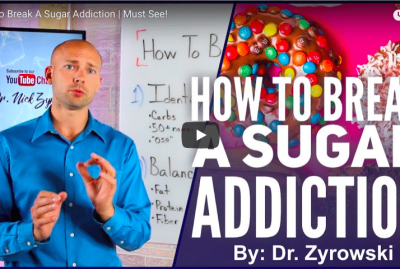 I’m Dr. Zyrowski and in this video, I’m gonna teach you how to break a fast. 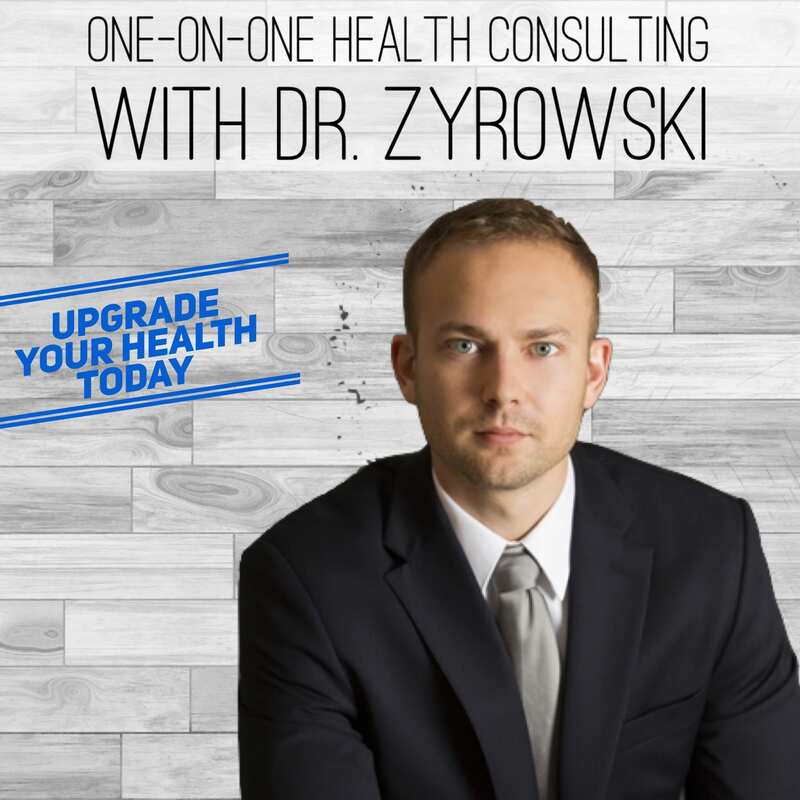 I’m Dr. Zyrowski from nuvisionexcel.com and if you’re new to the channel well then, it’s a pleasure. Be sure to subscribe and hit the bell notification if you want to excel your health and your life and you’ll be well on your way. In this video, we’re talking about how to break a fast. 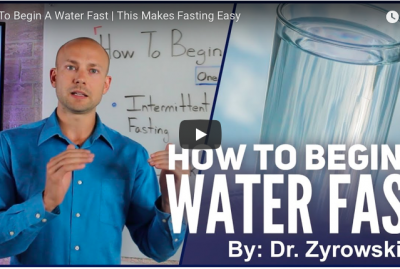 Now, as you may know, I talk about fasting a lot in my different YouTube videos, also in my blog articles on my website. So, if you want information on that, be sure to check out my other resources available. Now, the reason I love fasting so much is because it’s a very powerful tool in order to help heal the body. It’s a very powerful tool to act as a reset. It acts as a reset for the nervous system and for the gut, it helps heal the gut, helps cleanse the body. So, it’s a really powerful tool. One of the things that’s almost just as important as the fast itself, is actually breaking the fast, coming out of the fast and doing it correctly. Now, when we are in that fasted state, we’re gonna have decreased enzyme production in our gut. 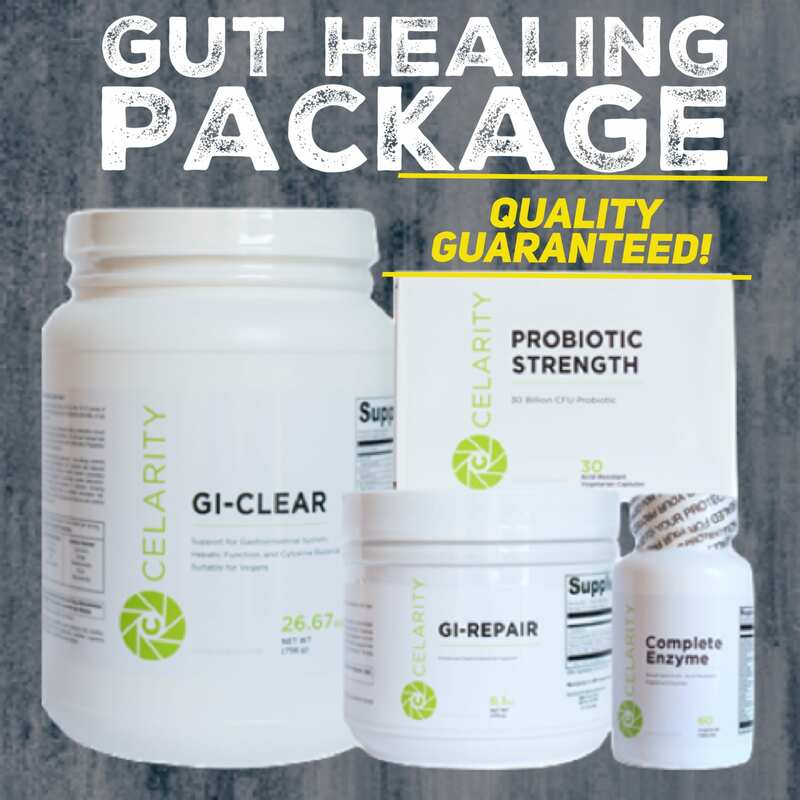 We’re also going to have the gut lining heal – it’s going to be healing itself during that process. 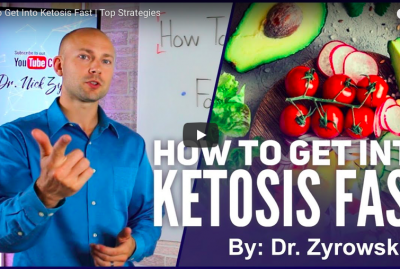 So, essentially, what will happen too is the the gut lining coming off that fast will be a little bit more vulnerable so we want to make sure that we transition from that state of fasting to eating and we do it in a gentle way that supports our overall health. So first, let’s talk about intermittent fasting. Intermittent is when we eat our meals within an eight-hour period fast for 16. Many variations of it but that’s kind of the general. Now, when we come off an intermittent fast I recommend having a nice salad for your first meal. Many people will come off of an intermittent fast and they’ll slam themselves with carbs or unhealthy food just because they feel that they’re just really hungry at that point but it’s important to kind of tread lightly. So first of all, a nice, good, hearty chicken salad is a great way to do that. So, coming from an intermittent fast, use some salads, use some greens to transition. It’s not as important to really focus in on that transition stage from intermittent fasting to eating as it is when it comes to multiple day fasting, but it’s still important to make sure that you’re doing it correctly and not causing more heartache for your body. So, on intermittent fasting, your first meal have a nice, green, hearty salad, a nice, good chicken salad with a nice light dressing and your body will thank you. 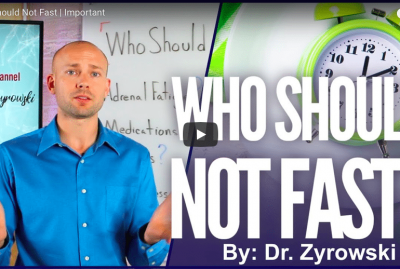 Now, when it comes to multiple day fasting, this is where it gets a little bit more important. Actually, it gets a lot more important because when we’re in that multiple day fasted state, it’s really when we have that decreased enzyme production, that gut healing occurring, and we need to be very careful and tread lightly transitioning from not eating to eating. 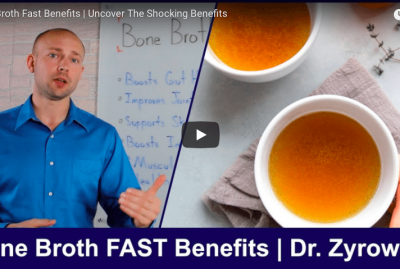 Now, one of my favorite ways to go from multiple day fasting – I’ll do three day, four day fasts on a regular basis and when I transition, one of my favorite ways to do it is to use a bone broth soup. First of all, we have the bone broth which is very gut healing, it’s very high in glycine, and then we have the soup that’s loaded with vegetables and they’re all more or less steamed and softened so it’s easy for me to digest. Now, that’s one key – having vegetables first of all, that are easy to digest. That can be through some steaming them but also a great way is right in a nice bone broth soup. I also like to use a homemade sauerkraut in order to make sure I’m getting good probiotics and enzymes. Now, when you come off that fast, you’re gonna want to tread lightly. You’re not gonna want to eat multiple bowls of soup or a ton of probiotic-rich, homemade sauerkraut. You want to just go gentle into that. The other way that I will have people come off a multiple day fast is I will have individuals come and just simply eat steamed vegetables. So, if somebody’s very sensitive, maybe they have a whole bunch of food sensitivities, maybe somebody even had a condition that they started fasting for in order to hope reverse it through the process in the first place, then coming off the fast very gently is even more important. So, when they come off the fast, I’ll have people jump into what’s called the, “GAPS Diet”, using just very simple vegetables, eat very simple foods and then same thing applies. You’re gonna want to steam those vegetables so they’re easy for your gut to break down but when you follow the GAPS Diet – and you can look up the GAPS protocol online – it simply means that you’re going to introduce foods very slowly and introduce them one at a time, almost as you would do when you start feeding a child for the first time. You introduce foods very slowly so their immune system can identify them and react as it needs to and then from there, as you introduce them slowly, you can also know that you’re not going to have a reaction to it. If you notice that you’re having a reaction you can actually back off of that and then try again in a couple days. So, that’s how I like to come off of fasting. If you have any different questions for me, be sure to drop them in the comment section below. Other than that, give the video a thumbs up and check out my other videos on fasting. 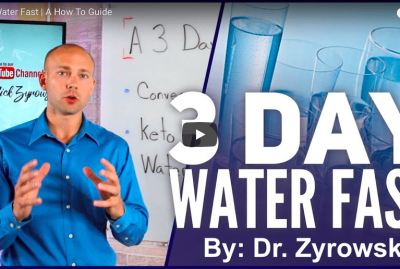 I have tons of great resources on fasting on my website and on YouTube. Until next time folks, make it a great day.